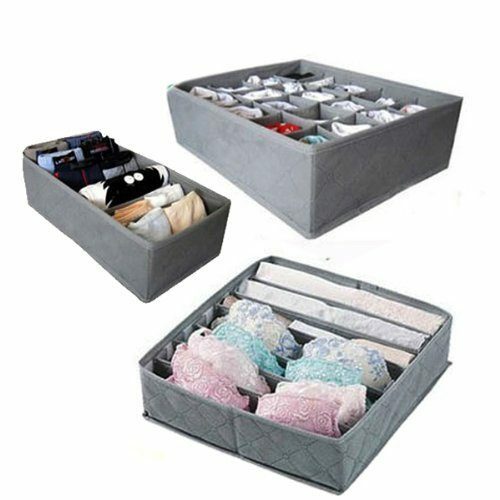 3 Piece Lingerie Drawer Organizer Set Only $5.95 Plus FREE Shipping! You are here: Home / Great Deals / Amazon Deals / 3 Piece Lingerie Drawer Organizer Set Only $5.95 Plus FREE Shipping! I really want to have organized drawers and this set could be the key! This set is made of Bamboo Charcoal Fabric to keep your items fresh and moisture free. Ideal for Socks, Ties, Underwear, Bra, etc. Get the 3 Piece Lingerie Drawer Organizer Set for Only $5.95 Plus FREE Shipping!